Auditing is one of the best career choices in Pakistan. If you are interested in dissecting the inner workings of almost any aspect of a company, a career as an auditor may be for you. Auditing is a growing field so job opportunities increase. Auditing, one of the main career options in the field of accounting has a vital role to play in each and every organization, be it public or private sector. Major type of audits conducted by auditors includes financial audit, operational or management audit and compliance audit. In Pakistan there are many institutes from where you can get a degree in auditing and one main institute is institute of chartered accountants Pakistan. There are many auditing firms in Pakistan that offer auditing facilities to other companies. Auditing involves the review, analysis and evaluation of processes, products, services, systems, organizations and employees. Auditors assess the accuracy, validity, reliability, verifiability and timeliness of organizational information, as well as the sources and processes by which that information is produced. Auditors inspect organization internal controls. Auditors ensure that checks are in place to help with the effectiveness of financial and operational reporting. They also make sure that controls are in place to protect an organization’s assets. As economy is growing day by day, the demands of auditors are increasing to ensure the credibility of the financial accounting data and financial statements in the private sector as well as public sector companies. 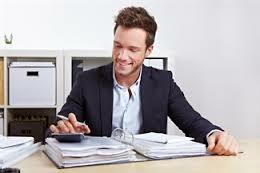 A person with excellent mathematical and problem solving skills can go ahead as an auditor. Companies that registered under companies act required to get audited annually so the need of auditor is always there. New software technology has made the work of auditors much easier than before. Data management and records are now easy to evaluate with the help of technology. Auditors can switch their career between internal auditing and public accounting or from management accounting to internal auditing. Internal auditors can become managers due to their controls on business. Initially when an auditor starts their career they work under the supervision of an established auditor. After gaining some experience they can work independently. A qualified experienced auditor can join Government Service, Public Sector undertakings or taking up a lucrative assignment in the private sector. Some auditors work as teaching staff in colleges or universities. Auditors who are employed in large firms are responsible for an organization’s financial health. Internal auditing: Internal auditors work for the company. Their job is to make sure the company runs efficiently and effectively; they perform financial, internal control, and compliance audits for the employer. Government auditing: A career as a governmental auditor working for your local, state, or federal government. Government auditors maintain and examine the records of government agencies, and audit private businesses and individuals whose activities are subject to government regulations or taxation. Forensic auditing: Forensic auditors often discover information that’s used as litigation support. A forensic auditor looks at records and documents just like any other auditor.